A 16-year-old boy has been charged with wounding with intent after a knife fight in Luton on Tuesday evening. 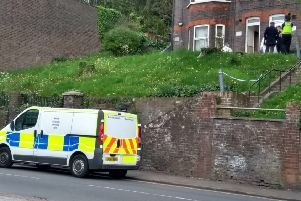 The boy was charged following an incident in Connaught Road and Chandos Road at around 6.30pm, with another 16-year-old taken to hospital for treatment to a stab wound to his hand. A number of other people are thought to have been involved in the fight and officers believe that some may have been carrying knives. Investigators would still like to speak with anyone who has information that could help identify further individuals involved. Anyone with information is asked to call 101 or visit the force’s online reporting centre on its website. Alternatively, report crime anonymously to Crimestoppers on 0800 555 111.